The trilogy follows the colonization of Mars and later the entire solar system, complete with the technological, moral, social and political evolution that accompanies it, spanning 200 years of future history. 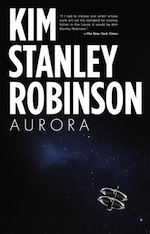 Made after an extensive research period and reaching 2000 pages, many of Robinson's previous novels, such as Icehenge and Pacific Edge are in many ways precursors to the trilogy in themes or setting. Each novel takes its name from the color of the planet Mars as it evolves through the process of terraforming. The requested page "/d/node/554" could not be found. // use a+ for the pivot and then evens (0,2,4,6,...) for one direction and odds (1,3,5,7,...) for the other.